Dorothy Perkins is a UK based brand and women’s retailer. I suspect, unfortunately, that they’re a bit like the Forever 21 of England, but maybe their products are of higher quality. Their clothing appeals to my aesthetic to a greater degree than most American, mid-range designs do. That mixed print dress in the center would look great at a holiday party. Sorry to bring you another set and no meaningful content, but I woke up with a cold and spent most of the day sleeping or clicking mindlessly through internet content. Since Frankenstorm is headed our way within hours, the sun hasn’t shone all day; it turned out to be the perfect day to relax and recover. 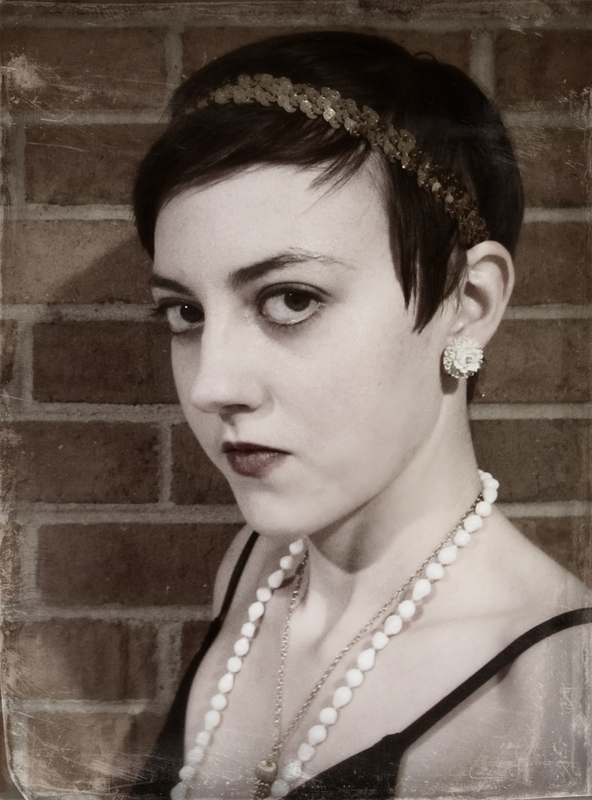 We attended a “Vintage Cocktail” themed Halloween party last night and I dressed up as a flapper. I prided myself in the historical accuracy of the overall look; unfortunately, I only have a headshot of my get-up. I wore vintage costume jewelry, a thrifted drop-waist dress, and richly hued makeup to complete the look. Daniel, on the other hand, was a Roadside Prophet; he wore a board with boldly etched, condemning verses on it around his neck. I was a symbol of debauchery and he was the radical, moral response to it. Your look here reminds me of the Great Gatsby. Great pic. Thanks. I really enjoyed wearing that vintage look for an evening.